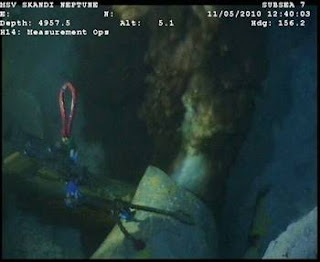 Following pressure from Representative Edward J. Markey (D-MA) and other members of Congress, BP has released a live video feed of the damaged underwater well that is gushing oil into the Gulf of Mexico. The feed may be slow or freeze at times -- or may go to other content without warning. The video picture switches off and on periodically.